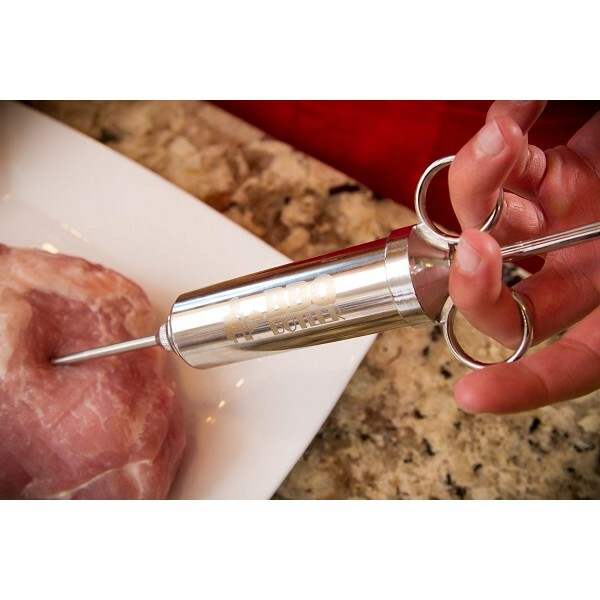 Perfect for injecting marinades or seasonings into pork, chicken, beef, turkey, or even duck! 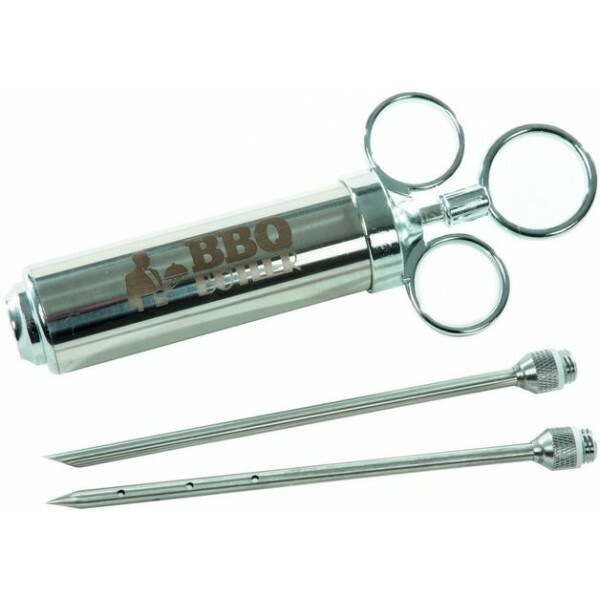 One of the needles has 12 holes for even distribution of liquid marinade. The other needle has an open end for garlic, herbs and other thicker ingredients! For easier use, apply cooking oil on gasket plunger inside syringe.